A bunch of sweet, smiling faces that will surely light up theirs. 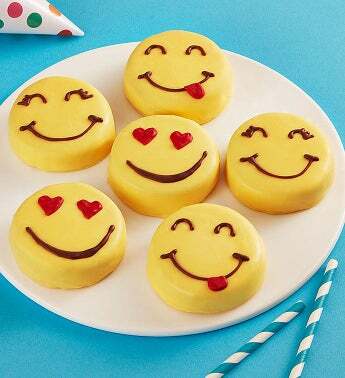 Adorably delicious and perfect for any occasion, our juicy pineapple slices are dipped and decorated with everyone’s favorite “Love”, “Happy” and “Yum” emoticon expressions. 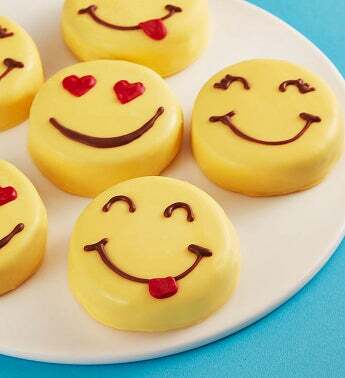 What a fun way to send a smile!